Pardon me, do you have any gray pu-paint? 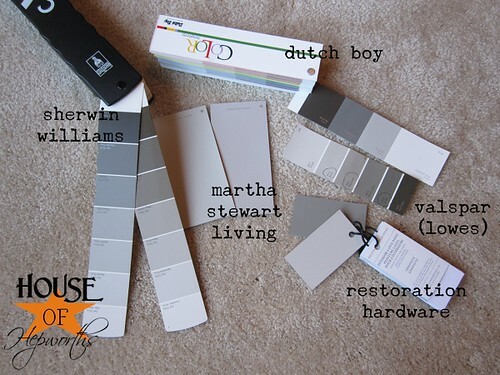 I’ve been obsessing over what color gray to paint my living room since September! Argh!! Waaay back in September (which in blog years is like 25 years ago!) I mentioned I was trying to choose a paint color for my family room. Now that I’m finished with those rooms, I’m ready to paint my family room and get those silly sample stripes off my wall. So, what gray color did I end up deciding on? 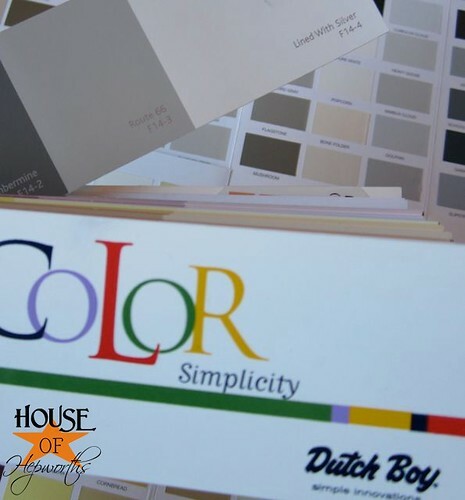 Well, I wish I could choose a paint color that easily! 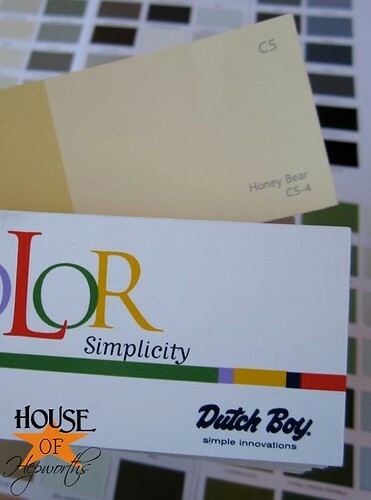 I get hives trying to choose a paint color. 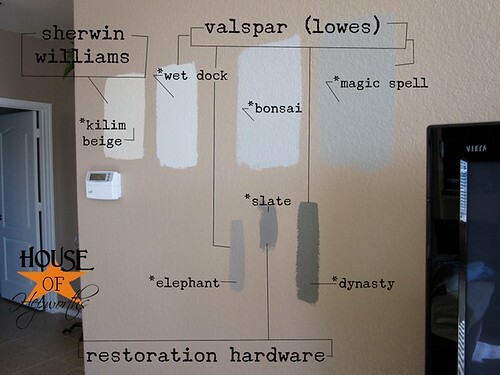 I pretty much decided on Bonsi from Valspar based off House*Tweakings wall color. 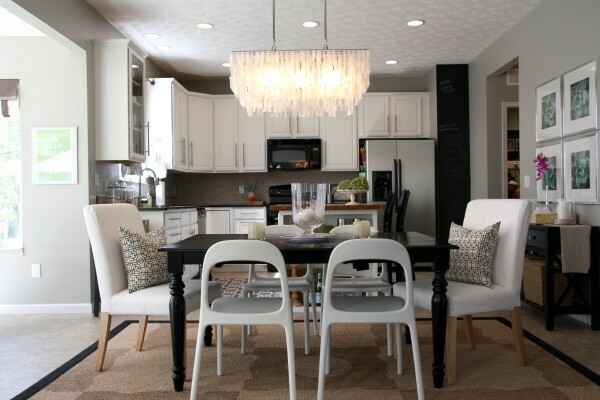 BUT then I saw Decor Chick’s new office and she used Sherwin Williams Mindful Gray. Can you see why this gets me all stressed out?! So I was really torn between these three grays, and then to add insult to injury I found a new blog last week called 7th House on the Left. She used Martha Stewart’s Cobblestone. This may seem silly to some, but for me, picking paint colors is about as painful, if not more, than childbirth. I may have an eye for crafts and home renovations, but something that should be a simple task like choosing a wall color sends me into a heart-racing sweat panic like no other. And then to throw a monkey wrench to my hyperventilating that almost hospitalized me, 7th House on the Left had to go and throw out another gray that was just beyond gorgeous. This gray is called Slate by Restoration Hardware. Who even knew Restoration Hardware carried paint? It was news to me! I drove over there quicker than a hot potato and got, you guessed it, one of every single chip they had, as well as a mini sample of the Slate. I went back to the drawing board and pulled out all my grays. Still way too many colors, but I’m making progress. The new gray I choose for the family room has a few requirements. 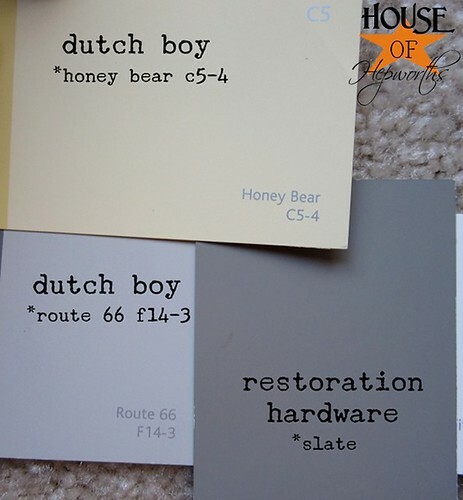 It has to coordinate with the dutch boy paint I’ve already used (Honey Bear & Route 66), it has to have tan undertones so it will match my couch, and it has to still look gray, not blue, or purple, or green. Oh, and it had to match the Slate by Restoration Hardware because after I saw 7th House on the Left‘s master bedroom & office in this color, I knew I was going to use it as an accent color in the family room as well as THE COLOR for my dining room. In the end, after MUCH obsessing (I’m talking, obsessing over this for 4 months straight! 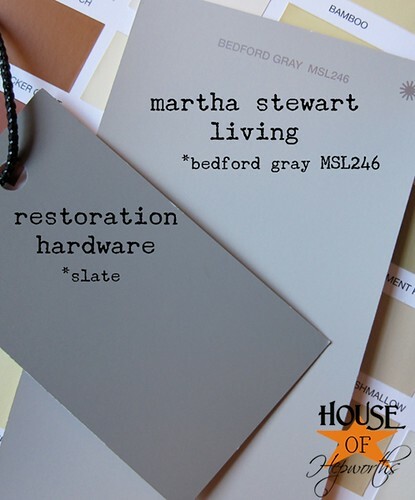 ), I finally chose Bedford Gray by Martha Stewart Living. Can you even believe that I actually picked one?! I still can’t believe it myself. It was painful, but so worth it. I’m thrilled that I have a color chosen and now I’m ready and rearin’ to paint! I’ll show you some pics of the room as soon as I slap some paint up on the walls. So, have you used gray paint for your house? I’d love to see it if you have a link to pictures! I too am trying to find a gray color to paint with. Our master bedroom has 12 foot ceilings, our bedroom furniture is very large and black, our window treatments are aqua with a black stripe and our comforter is black and white. Right now our walls are “builder tan/cream”. I thought a gray would be pretty in there, but I have a hard time finding a gray that isn’t too blue or industrial cement looking. I do like that Route 66 color you posted, I’ll have to check that out. My girlfriend did her room in Martha Stewart’s Sharkey Gray, and that’s our other contender (which might change once I actually see the swatch in our room). I like the one you picked out! I really like he color you picked out. It has that warmer color tone to it. I am going to be painting my family room soon also. But I think I am still going to stay more on the tan/beige color, because I would have to change all my furnitrue if I went with grey. 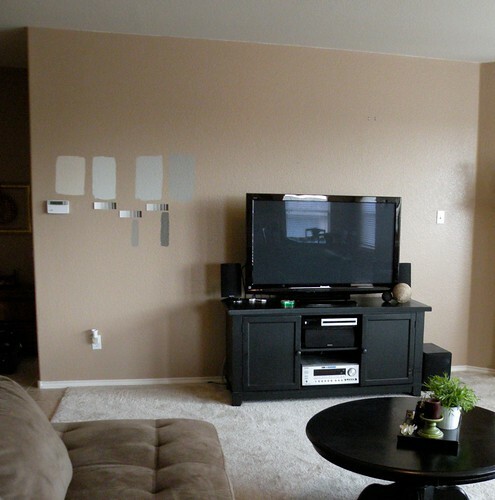 I love the new paint colors…slate is yummy!! I can see why you love that one for an accent color! Rich and creamy for sure. I *totally* get your trouble finding the right paint. Waaaay too many choices and subtle nuances of difference to narrow it down. Heck, I have trouble choosing which milk to choose at the grocery store, nevermind paint. Which ultimately leads me to getting none (paint, that is, not milk). We did maybe 18 different swatches of baby blue in my daughter’s room….and two years later, her room is still pink. 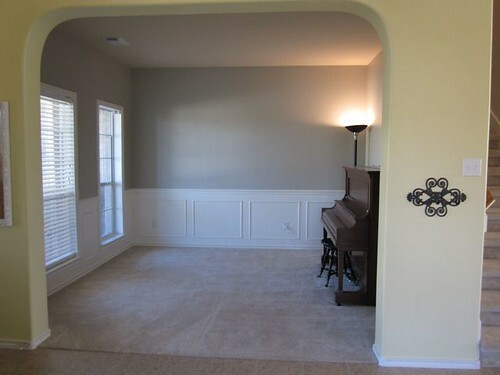 For our family room, I finally had a decorator come in, tell me “This one”, and I painted it that color. Period. Nice and simple. To further back up why I am nervous about paint choices: we painted our WHOLE HOUSE EXTERIOR in a color that I’d painstakingly chose….and it was GROSS. No other words for it. So we had to REPAINT THE ENTIRE EXTERIOR OF OUR HOUSE. Now you understand why I get gun-shy on choosing paint…. Oh my oh my oh my……I am speechless by all of the selections. I wouldn’t know where to even begin! But if it makes you feel any better, based on that very first photo you put up of all the different gray colors – I had chosen bonsai as well. But I can’t choose a color unless it is in a patch on the wall like you had it – so all of the new colors leave me at a loss. Very pretty though! Go with your gut, always the best way. And make it YOURS. I did the same thing when redoing our lving room and kirchen- it can make you crazy. For our living room I chose a color called Slate Grey I liked it because it was a bit taupey without being too too grey so it matched my furnture. It feels good to finally make a decision. Childbirth is waaaaaayyyyy easier in my book! And after childbirth you absolutely love what you get. Not true with paint. We have had some version of “off white” in our entire home until 2 years ago. I still prefer most of my rooms this way but I have stepped out of my comfort zone for my study, one of our bedrooms and our foyer. For us painting some of our rooms is tricky because a large portion of our first floor is open design. Where to stop/start is our issue. Anxious to see some pics!!! I also just recently repainted my mothers kitchen/dinning room with a light grey color. I’m certain it was called “silverware” by valspar, but I can’t find that color online. I don’t have pictures of that up on my blog yet, but I will shortly. Oh, I relate. My bathroom has been painted the “wrong” color for over a year- I haven’t hung up any decorations-it’s just sitting there in ugly limbo- because it needs painted the “right” color- but I don’t want to go through the pain again! Ack! I do love the colors you have chosen so far- so, I’d say your labor of love has paid off! I’m having the same dilemma but I’m looking for more of a greige (grey/beige) color. I’m liking Behr Sandstone Cove. I also have some other samples up on the wall that I can’t remember by name right now. I was at Banana Republic over the weekend and loved the color on the walls so I called to ask what it was. Sherwin Williams Balanced Beige. I have heard RH’s silver sage is a popular color. Picking paint colors is easier for me, but then I may decide I made the wrong choice and need to repaint. I LOVE SLATE- I am going to start and finish my husbands “man room” downstairs as a surprise while he is gone two weeks for guard. When I saw your post with slate I knew it would be perfect! Man that stresses me out just reading it! Glad you had a conclusion by the end of the post! Congrats on picking your gray! I like it! My absolute favorite gray is Sherwin Williams Tony Taupe. Can’t wait to see the results! Have fun painting! I take back what I said earlier about me being the one that stresses out about decorating decisions and you getting a ton of stuff done (based on your posts). I think you made the right choice. I love the Slate by itself, but it is probably too dark for a wall color. I had a mini-grey issue years ago when I was trying to pick the grey cardstock to use for wedding stuff. I was in love with the darker grey and really really wanted to use it. Good thing the husband talked me out of it because the lighter grey (not light, just lighter compared with Slate) coordinated better with everything else next to it. Are you sure we aren’t long lost twins who happen to be about 20 something years apart? I could have written this post. Except for that all my walls are still white as I still can’t make up my mind on paint colors and I’ve been in my house for 5 years. I do have one room that is painted. It’s our game room and it is grey. Can’t remember what paint mgf but the color is called Vulcan Grey. I’m sure it was from Home Depot & it was a year or two ago. And I’m sure it was their cheap paint. But it looks almost blue/grey. Here is the link, if interested. http://manningfamilytree.blogspot.com/2009/02/met-monday-game-room-part-1.html. If not, I won’t be offended. I only posted about it on my family’s blog as we still haven’t finished the room. So it never made it to my “decor” blog. The room has again become a huge storage room nightmare with a bunch of games thrown in. Someday I’ll finish it. Maybe. 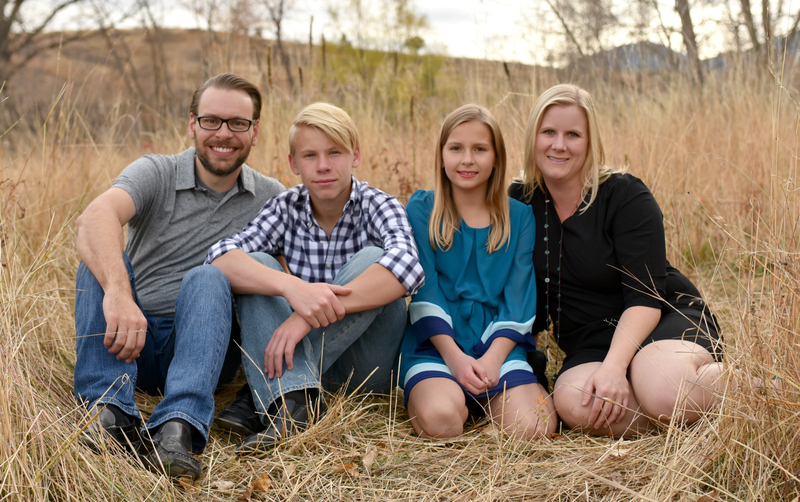 Can’t wait to see how your family room turns out. Now I am itching to repaint in those gorgeous colours! Are you also planning on repainting your piano? 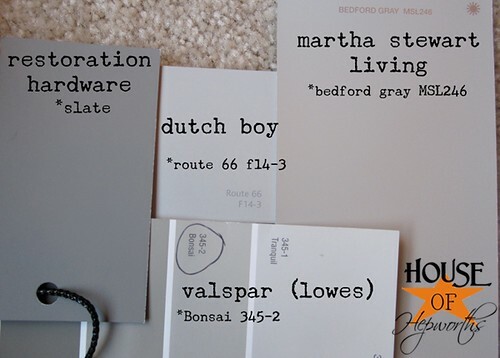 I was dying at this post because I FINALLY made a decision on a color to paint our master bedroom, and gray was the choice!! Little did I know that gray is the absolute hardest color to narrow down!! haha 🙂 I think that I will prob go w/ the mindful gray though..can’t wait to see when you’re done! I know what you mean about it being hard to pick a paint color. We painted our kitchen a pretty green before we moved in but we just don’t love it in the kitchen. We’ve been here over a year and I finally decided last week that I want to repaint it a chocolate brown, but I still don’t have a specific paint color! I’m like you, I collect paint chips like my boys do legos, too. 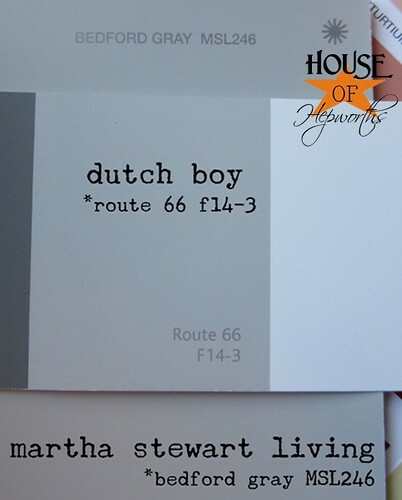 On that subject, where did you get your dutchboy paint deck? I would love to see all their colors since my local dutchboy carrier only has a few samples (compared to the whole deck, anyway…). I’m glad to see you selected a color . . . and it looks like a good pic IMO. 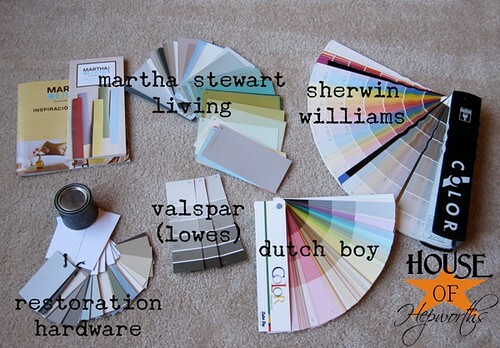 I’m also glad to see I’m not the only one obsessing over paint colors – it takes me FOREVER to decide. Can’t wait to see the finished room! Ahhh, and would you believe I just painted our master using Mindful Gray, and it looks NOTHING like what’s in our office. I love it even more in the master. There are no undertones of funky colors at all, just gray. Paint is so weird! Oh, I wanted you to pick “MAGIC SPELL!!! !” LOL! Ok, now I’m stressed just reading this post, lol! I can tell you that I am drooling over how fabulous the Route 66 color is–and you have GREAT taste in paint colors–your house looks fabulous! Simply Wow! Your house is fabulous. You really had great taste in color mishmash. The whole lot is perfect there. I just became aficionado of your work. Route 66 color is fantastic. It bestows coolness to eye and peace to mind. You know, it’s very hard, but fun, to pick out paint colors!! I’ve messed up BIG time, and had to repaint…but, oh well!!! some colors just look different in different lights. swatches or even painted spots on the wall aren’t always enough to tell what it will really look like. I’m in the same boat and decided to wait till you paint AND are happy with it ! Then I will do the same. I know about obsessing over the choice…and with gray you run the chance of too cool so it looks blue or purple. I also don’t want to do too dark , however it is going in a room with high ceilings and lots of light so it should look great. Can’t what to see the afters!!! 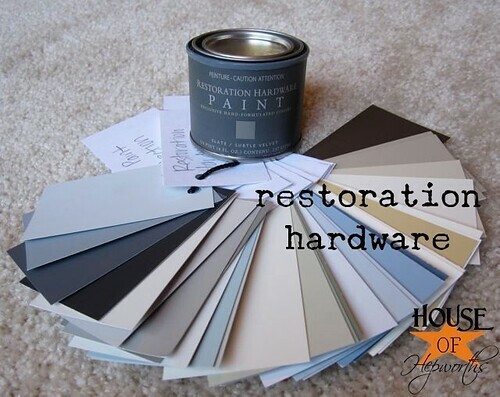 Stumbled upon your blog as i was looking for images of Restoration Hardware’s Slate paint. 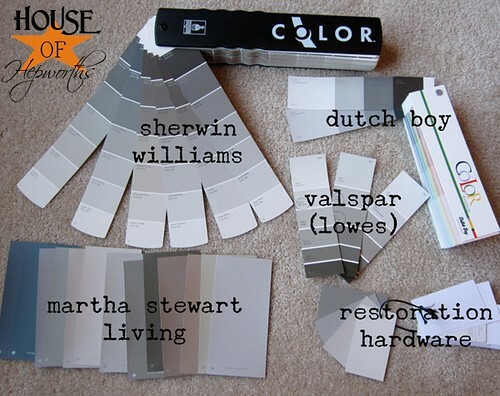 I am giggling right now…as I just painted my entire Connecticut house interior with Sherwin Williams Mindful Grey! Because every room has different natural lighting, the shade is slightly different in every room. I also used Anew grey in my laundry room. I love how no blue or green or even that putty color comes out in this grey…..it is simply grey. In one of the rooms, the formal living room, it has almost a muddy quality that gives it a very interesting quality. I am currently In Saint Paul, MN, and looking at repainting my loft. I decided to go with Restoration Hardware’s Slate for the accent walls. It is a very sophisticated grey, and looks good with all of the brick and hard wood.